Pet owners know that the greatest way to spend Valentine’s Day isn’t with Prince Charming—it’s with the four-legged friend who loves you unconditionally all year round. Studies have shown that pet ownership and celebrating Valentine’s Day seemingly go hand in hand. According to an article in USA Today, one out of five Americans make sure to buy a token of their love and affection for their non-human Valentines. 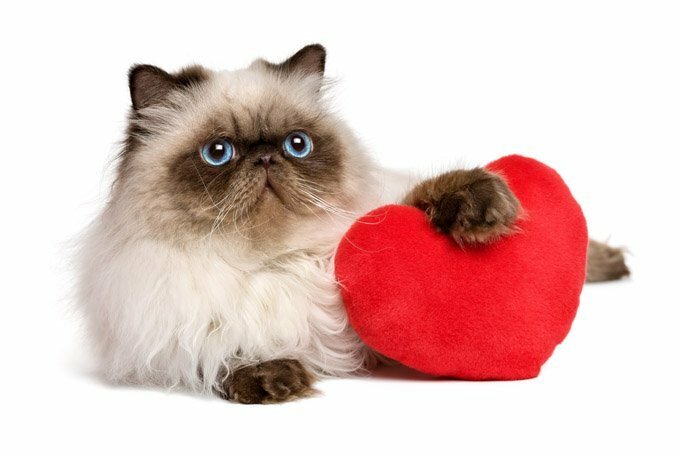 Global marketing intelligence company Exponential Intelligence discovered that pet owners were more likely to open their wallets for Valentine’s Day products, and of all the types of products people purchase on Cupid’s favorite holiday, pet-related items ranked number one. Overall, dog owners spend more moolah on activities outside of the home like going to concerts, visiting movie theatres and attending sporting events, according to the Vice President of Exponential’s platform services, Ken Nelson. Cat owners are typically homebodies, Nelson explains, but they also tend to have a hobby that’s particularly relevant to Valentine’s Day. “They are also big fans of romance novels,” Nelson tells Marketing Daily. In all, it is estimated that pet owners will spend more than $815 million on Valentine’s Day gifts for Fido and Fluffy.